Looking for something to shake up your lunch hour in Salem? 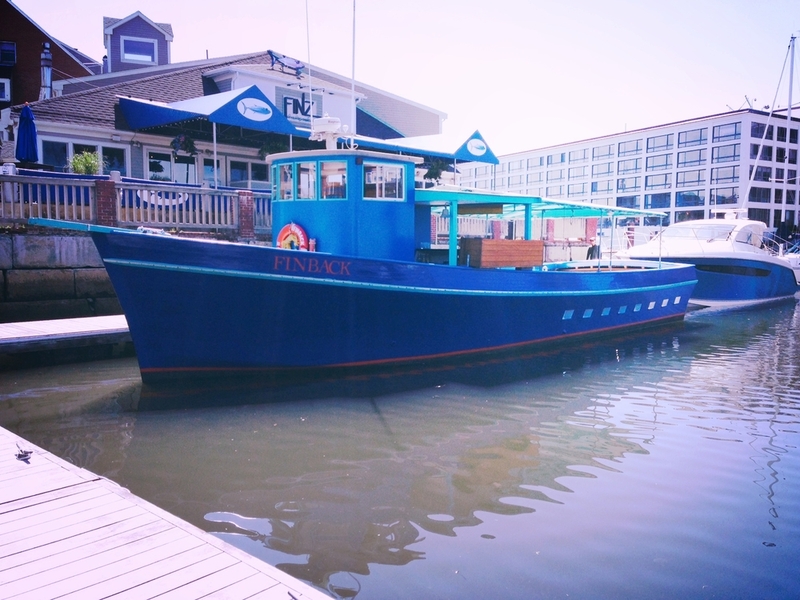 Join us on our 50-minute Weekday Lunch Cruise! Work in Salem? Need an excuse to get out of the office in the middle of the day? Why not try the new Weekday Lunch Cruise? Ride it the whole way and get fresh-grilled lunch on board - or use it as a shuttle from Pickering Wharf to Winter Island (or back). It's an easy 1.7 mile walk from Pickering Wharf to Winter Island - so get some steps on that pedometer! And don't forget - furry friends are always welcome! The Lunch Hour Cruise starts and ends at Pickering Wharf, with a quick stop at Winter Island (and Blaney St Landing in the near future). It's only $9, and will have you back before the boss bats an eye! Fresh-grilled burgers & dogs from the grill - or bring your own bag lunch.